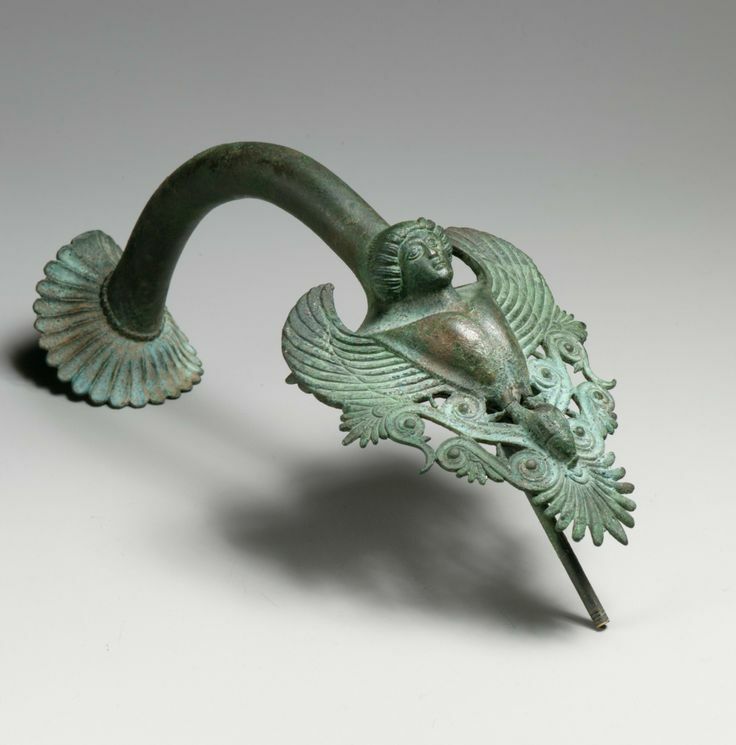 It’s a bronze handle of a hydria made in Classical. ca. 460–450 B.C. Greek. It has the artistic style of late Classical. This 18cm artical has a slender hand shank on the top and a siren figurine with helical emblazonry below. Siren is part woman, part bird of prey, who has wonderful voice. Sirens were not only guardians of tombs but also creatures notorious for using seductive songs to attract voyagers .This figure has delicate and smooth lines, and the facial features has the traits of Classical.